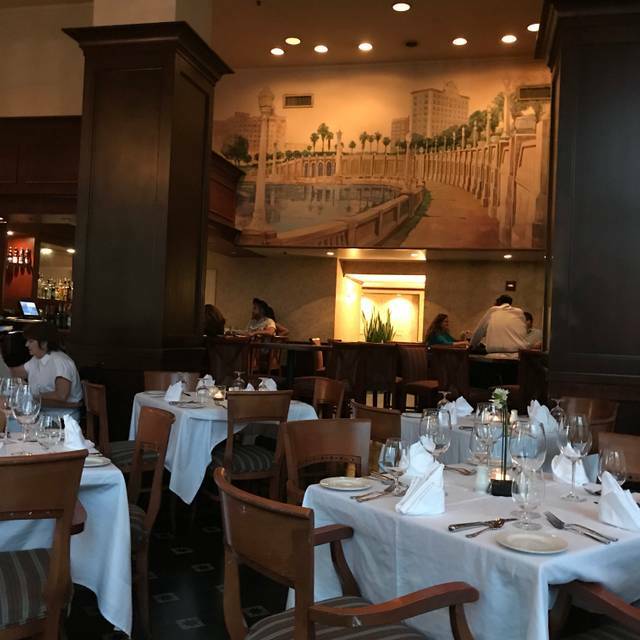 You must make reservations at least 5 minutes in advance of the time at Terrace Grille. 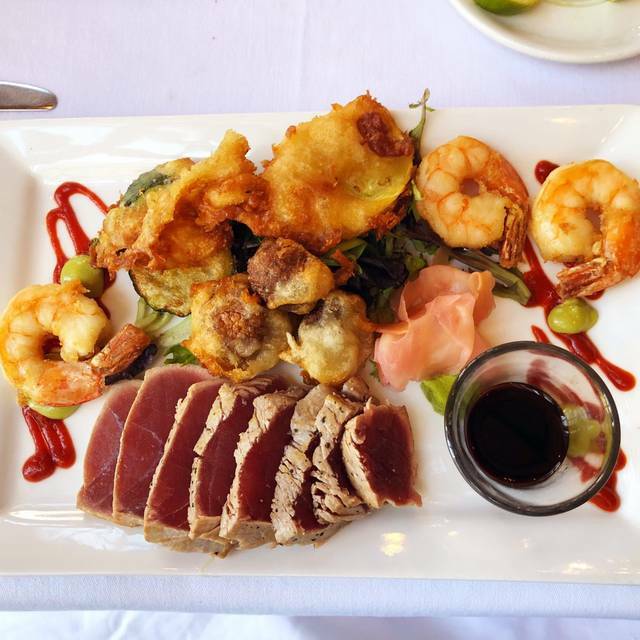 Discover why The Terrace Grille is recognized as one of the top restaurants in Central Florida. 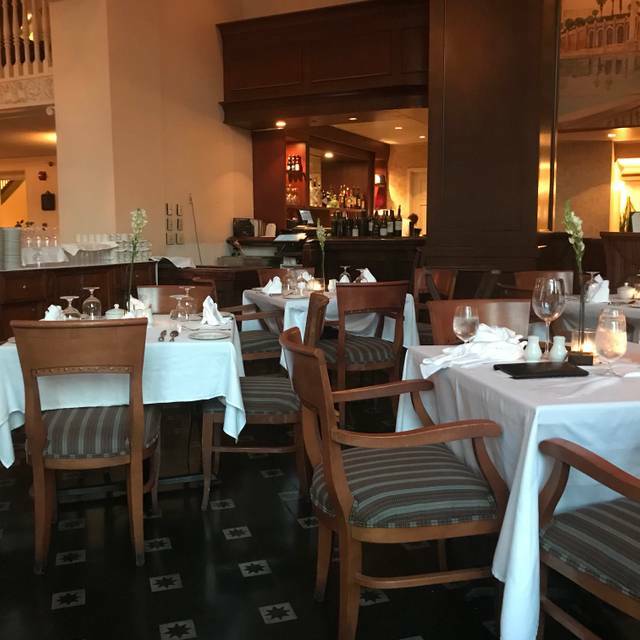 Offering a relaxed, fine dining atmosphere and a savory menu right on site, The Terrace Grille features masterfully restored historic architecture in addition to delectable menu selections. 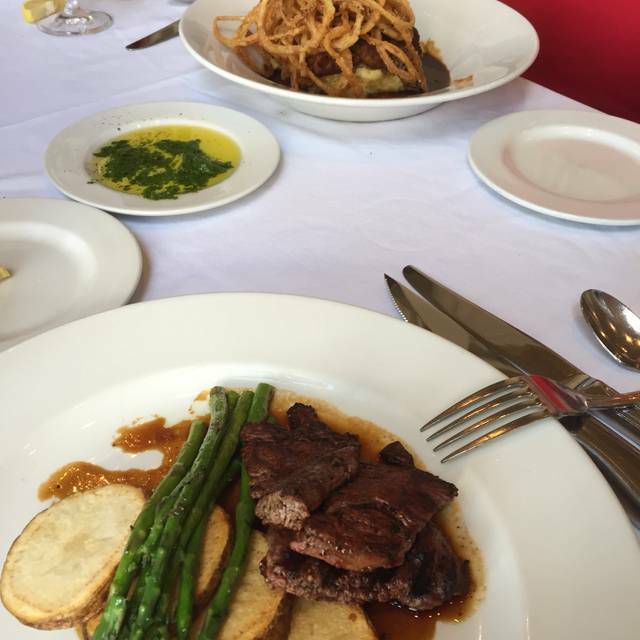 Our evening at the Terrace Grille was delightful in every way. From the complimentary valet parking, the elegance of the hotel's historic setting, our wonderful server who was unobtrusive yet saw to our every need (I wish I could remember her name), to the outstanding food and beverages. My arugula salad was to die for, the crab cakes are totally delish and the creme brûlée was decadent. Wonderful food, wonderful service and wonderful friends....the perfect recipe! Nice location, excellent ambiance, food fair. My eggs benedict came without the Hollandace sauce. Tasted kind of bland. Didn't realize the sauce was missing until I headed home. Another, at our table ordered the mucilee , but got granola. Okay, but nothing special. The wait staff was professional and very pleasant. Beautiful restaurant but 4 out of six of us ordered the grouper dinner and then we were told they were out of grouper. Not great alternatives soba bit disappointing. 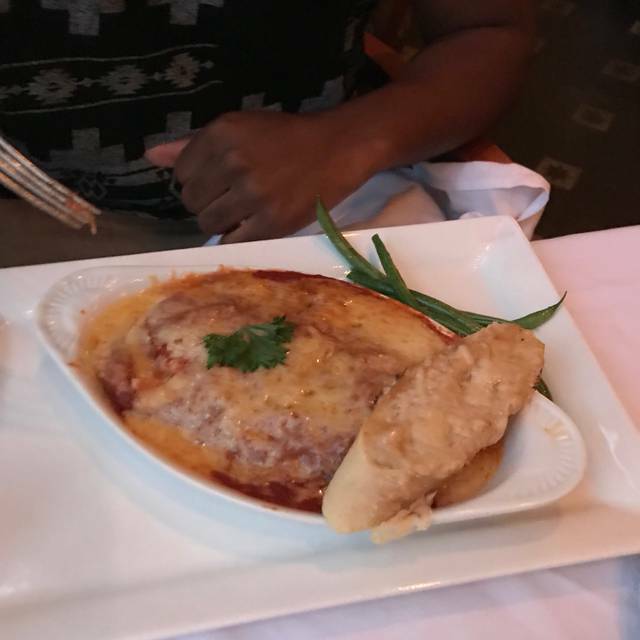 We all did enjoy our meals however and the service is excellent. Excellent service and solid food. NY Strip- Perfect temp and savory! Shrimp and Scallop Linguine was prepared perfectly. We stay at the Terrace Hotel and eat in the Terrace Grille at least twice a year when in the area. It has always been outstanding. However, this last time, after much buildup to our friends, one of them got the lamb chops that had so much gristle they had to be returned. The new ones were excellent, but this should not have occurred. Also, this same friend had to return the house chardonnay during happy hour as it was so harsh. The bartender agreed that it was harsh. Then why serve it? 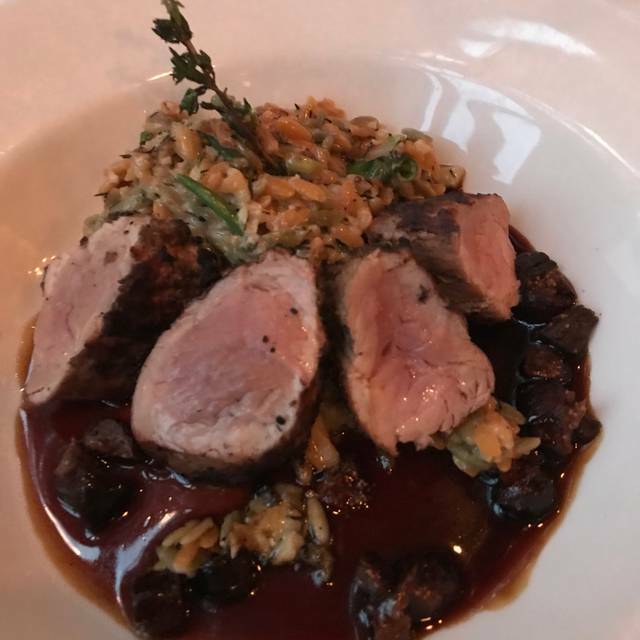 Our other three meals were excellent, and the service was as well, as usual. The food was very good. We had to wait nearly 40 minutes for our food. The dining room was fairly empty. Not sure why it would take so long to get omelets. Chef wouldn't split our order. Served with empty plate for us to split. Service was slow while restaurant was only half full. Food was undercooked. First time. Great experience overall! Well done Lakeland. Very nice surprise. Food is tasteful and elegant, not ordinary. Liked that champagne choices and prices are reasonable. 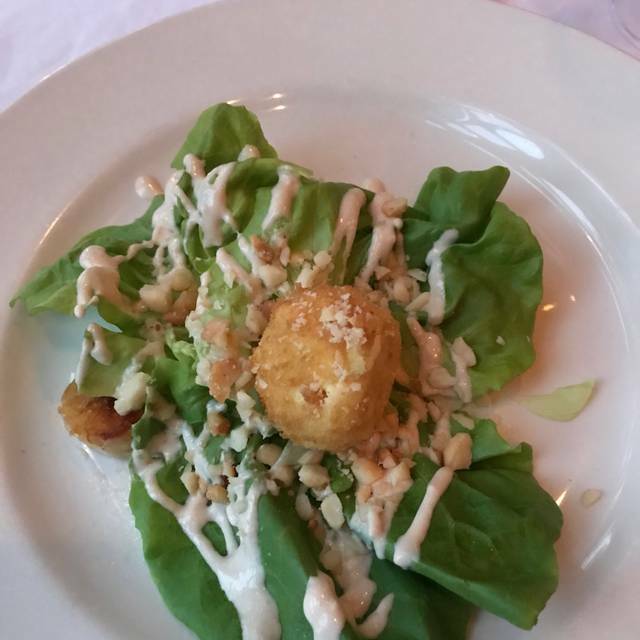 We had a delightful lunch at Terrace Grille! We drove from Tampa and our friends drove from Orlando and we all thought it was the perfect restaurant for our Holiday get-together. Thanks again to Autumn and Amanda for great attention to detail. The Terrace is excellent. THEY HAD NO RECORD OF MY RESERVATION THAT I MADE WITH OPEN TABLE! Unfortunately, I am unable to give this restaurant a rating. Service, would definitely be the lowest score. We waited by the hostess area for about 10 minutes and no one came to seat us. We left. I usually love the Terrace Hotel but tonight, I was so disappointed. Our waitress did a poor job (so moody, not responsive, didn’t even keep up with our drinks, and etc), and my filet was over cooked. We took friends with us from out of town and felt like this place would impress but instead we had to apologize to them for the unprofessional way the waitress was. So couldn’t wait to get out of this place today. Used to think this place was Lakeland’s best but it’s a hit or miss now. I wonder when restaurants who invest so heavily in infrastructure and food preparation, will learn that a hostess who is rude will negate the best intentions. This is so basic! I know you want someone who you believe will be attractive, but a smile and an attentive person committed to service is so important. This place failed so miserably at that point, that we noticed we were an inconvenience to her and left. Wonderful as always. Caution to Open Table users......always call hotel direct to confirm reservations. Second time we arrived at reservation time and we were not listed. We got apologies but not requested table. 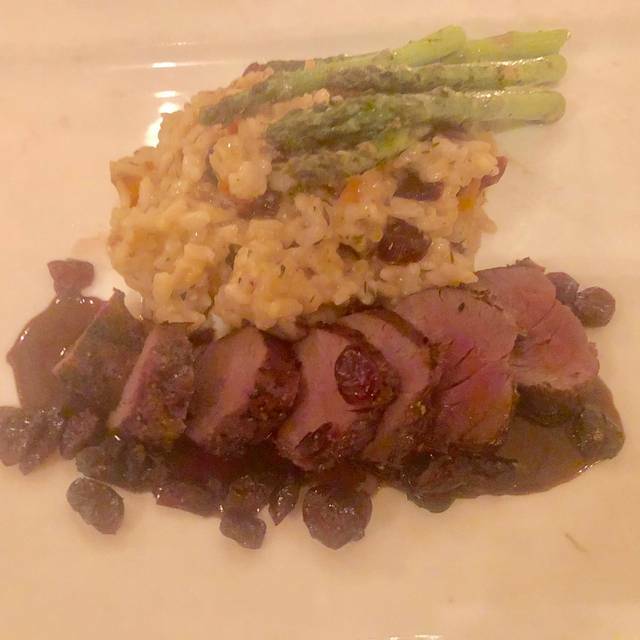 Have eaten at the Terrace numerous times over 14 years in Lakeland, but the Venison Tenderloin served with a Sweet Potato Cranberry Risotto and Asparagus was an extraordinary culinary experience. Highly recommend this limited time entree. The server was a little inexperienced. She would constantly need to check about menu items, wasn’t sure about any of the items available at the bar, and was very rigid in clearing table etc. overall it was great as usual, but it was just a little different than normal when we come. Nice venue. Out of one of the lunch specials, otherwise great. Waiter was new and incompetent but a nice kid. House salad and creme brûlée were very good as always. Steak was done to right degree. Brings me to the mashed potatoes-cold and plated with an ice cream scoop just like a cafeteria. It didn’t help that I watched my candidates lose. Thank you Autumn and everyone else, food and service was excellent! A restaurant in a historic hotel. Charming atmosphere. The lunch menu had great selections. However, the usual trend of not serving vegetables with entrees continues. The meatloaf was inspiring- but no option for veggie unless ala carte. Wait staff/ hostess pleasant. Food was fantastic! Cooked to specifications and hot when it arrived! The food was good, not delicious. MSG headache after eating. My fault for not inquiring prior to making the reservation. The wait staff was amazing. Certainly not worth the $300+ bill for chicken or meatloaf. Awesome experience, everything was great. Exceeded expectations. Wonderful meal before the ballet. Food was wonderful, as were the cocktails and service. Only complaint was that we were seated at 5:00, but didn't recieve our entree until at least 6:30. We had to be at the ballet by 7 and were pretty rushed finishing up the meal. We even told the wattress when we sat down, but food still took a long time to come out. A great find in downtown Lakeland in the lobby of a grand hotel. Ambience was lovely either for a business dinner or a night out with friends and family. The service was very good. The food was exceptional. The wine list had some nice selections at very reasonable prices. We recommend it highly. Food was horrible! Everything was bland and had no flavor.....this place has definitely gone down hill. The portions are also very small for the price, but I can live with that if the flavor is there. The table beside us had to send their food back too. Very disappointed! My meal was amazing. I had the goat cheese salad and the shells with seafood. Both were incredible. My husband loved his meal as well which was the special lamb. Another great meal celebrating the wife’s birthday. She had the crabcakes filled with huge chunks of crab meat. I had a filet. I asked if I could swap the grilled squash (3 slices when it came) for brocollini offered with another entree’. No was the answer w/o an upcharge. I opted not since the small filet was already $44. We shared a $12 creme brulee. No refills offered on iced tea. The place was full - the bar crowd loud. My fillet was tasty, but it was the smallest filet mignon I have ever seen. It looked well less than 6 oz. For the price, it was not a good deal. Service was adequate, but again for the price, a little disappointing. Wonderful experience. Food, service, wine and atmosphere were phenomenal.